Defined by the idea of movement, Migration is dedicated to exploring Chardonnay and Pinot Noir from the finest cool-climate winegrowing regions to create wines that highlight lush fruit, bright acidity and impeccably balanced oak. To craft our flagship Chardonnay, this exploration took us to California’s Russian River Valley, where layers of ocean fog cool the vines that grow in the region’s famous Goldridge sandy loam soils. 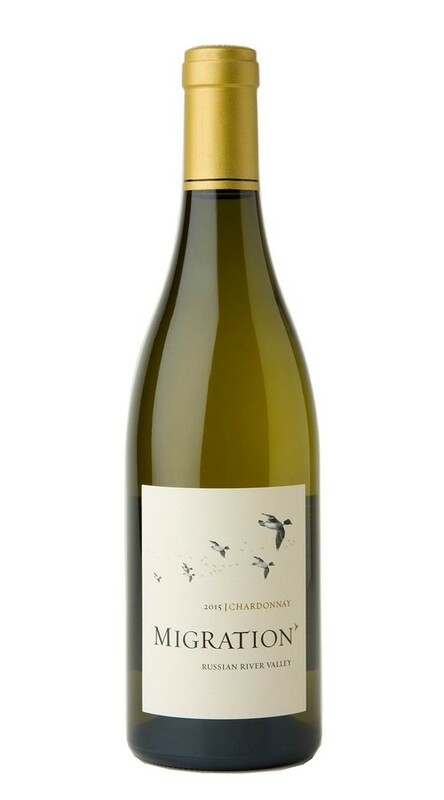 Reflecting this world-class terroir, this vibrant and sophisticated Chardonnay combines white flower aromatics with enticing lemon custard and stone fruit flavors. Lush and expressive, this wine begins with alluring aromas of lemon custard and white flowers, with underlying hints of tangerine, toasted marshmallow, vanilla and fresh pie crust. On the palate, lovely stone fruit flavors of peach and nectarine are supported by a beam of enlivening acidity that gives the wine poise and length, carrying it to a long focused finish.